Friday, September 10th Starts at 4PM – Probus 714 W. 181st St.
PROBUS invites you to come and preview their New Fall 2010 Collection from brands like Timberland Boot Company, Android Homme, G-Star Raw, Diesel and so much more. Also, in Light of Fashion Night Out they will be offering everything In-Store and Online at 10% Off Original price as well as Live Sounds by DJ Wally! COME OUT TO PLAY… a Warriors Themed Art Show. Somewhere in Brooklyn a collective of artists is being assembled. Each will be supplied a blank “canvest” and asked to create their own interpretation of the globally recognized leather Warriors vest. 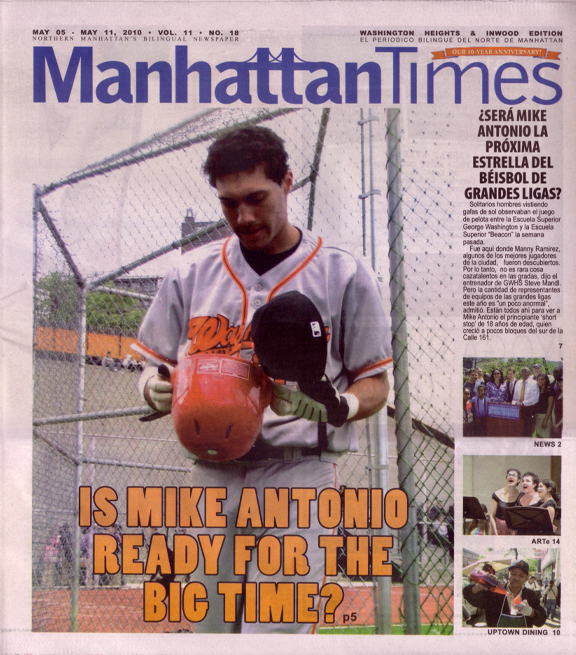 Uptown Collective member, M. Tony Peralta, is taking part in this and that should tell you all you need to know about how cool this event will be. This lecture, hosted by Jason Kendall, NASA/JPL Solar System Ambassador for New York City, features the astonishing new views from the Solar Dynamics Observatory, NASA’s mission to the Sun. They will also show a quick planetarium show, and we’ll see what’s up in our night sky. There will also be free NASA handouts, posters and lithographs for everyone who attends. Join a staff member for a guided tour of the farmhouse and grounds and learn what life would have been like on a Manhattan farm and how the neighborhood transformed from farm to city. The Dutch Colonial style farmhouse was built on this site by William Dyckman c. 1784 and was originally part of several hundred acres of farmland owned by the family. Today, nestled in a small park, the farmhouse is an extraordinary reminder of early Manhattan and an important part of its diverse Inwood neighborhood. Reservations recommended, as space is limited. Adults and children over 10. Meet a friend after work for a backyard drink at the Garden Café for $5 Drinks All Nite @ Outdoor Wine Bar only. *If your lucky you might be treated to a live musical performance. In the debut episode of Street Fashions with Oscar, The Uptown Fashionista investigates the fascination with the Robin Jeans trucker hat. 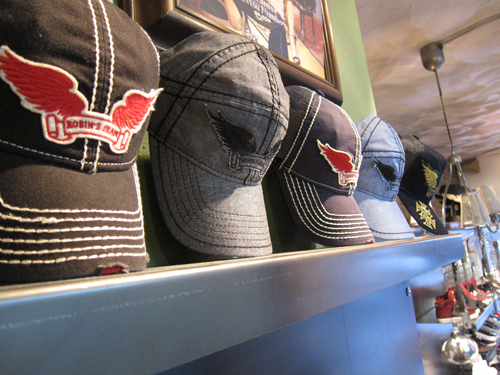 You know the hat with the wings on the front panel that everyone and their mother is sporting around the streets of Uptown. Oscar goes to one of the key sources that is responsible for the supply, the premiere uptown Boutique “PROBUS.” In the video, Ivo and Rey share with us the rise of this Uptown Manhattan fad. Check out the video below. Fellow Uptown Collective member, M. Tony Peralta, unveils his latest collection of tees entitled Uptown Local. 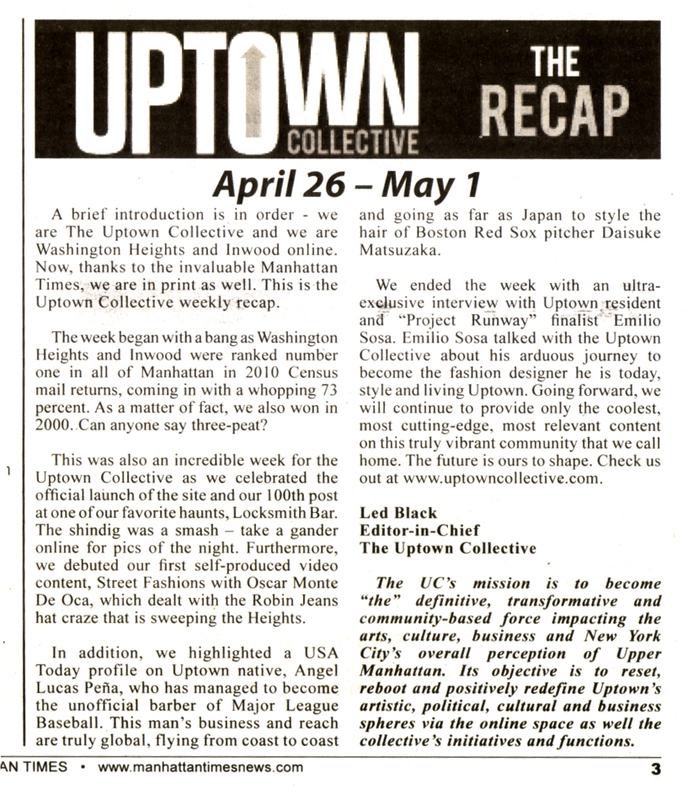 Uptown Local is a stirring artistic and sartorial homage to the Washington Heights/Inwood area. This collection directly but playfully tackles the forces that have shaped and continue to shape this vibrant community; from the original bamboozling of the Lenape Indians by the Dutch to the creeping gentrification that is changing the cultural landscape of our barrio today. More than just a collection of t-shirts, Uptown Local is a history lesson, a rallying cry and a much needed booster shot of neighborhood pride with a dash of Uptown style thrown in for good measure. Uptown Local will be sold exclusively online and at the following fine local retailers; Probus (714 West 181st) and Nostylgia (251 Dyckman St). This collection will be only available in limited quantities – so get yours before they are gone.